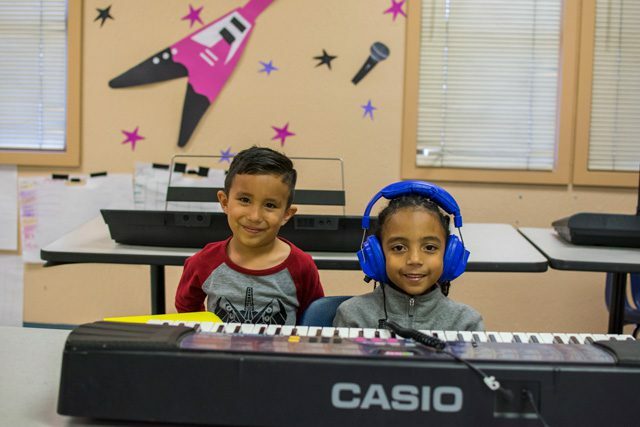 Since 2013, The Salvation Army Kids’ Cafe in Riverside, California, has provided children in kindergarten through sixth grade a safe after-school environment to do homework, learn new skills and make friends. Lately, it’s also become a bridge to other corps ministries. When they arrive at the corps, the kids have a snack before beginning 90 minutes of schoolwork. Volunteer tutors and staff help help them individually as needed, and if the child finishes early, staff will work on preparations for upcoming lessons through flashcards and reading. 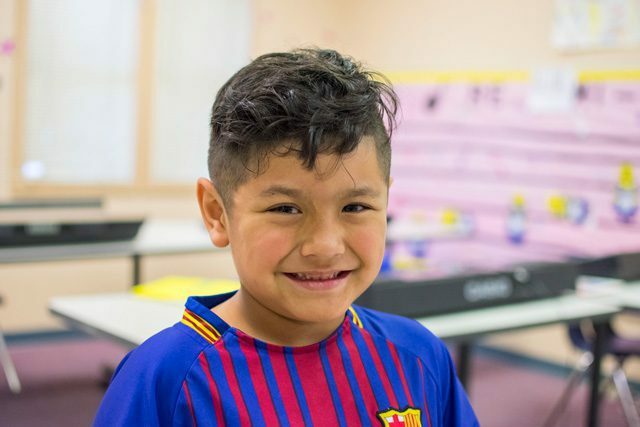 “We have a high expectation for kids to stay up-to-date on their homework, and their parents love that about our program,” said Youth Program Coordinator Rachael Bolaños. According to Bolaños, some of the children have difficulty with English, so the tutors work with them one-on-one to improve their language skills. One student, Matthew, recently had a language breakthrough—he now knows the entire alphabet and about 20 new, advanced words. Bolaños said he is proud of his achievement. After homework, the fun begins. Mondays feature arts and crafts, Tuesdays include a Bible lesson, Wednesdays focus on recreation and music, and Thursdays feature The Salvation Army’s character-building programs: Girl Guards, Sunbeams and Adventure Corps. Fridays are reserved for surprises. 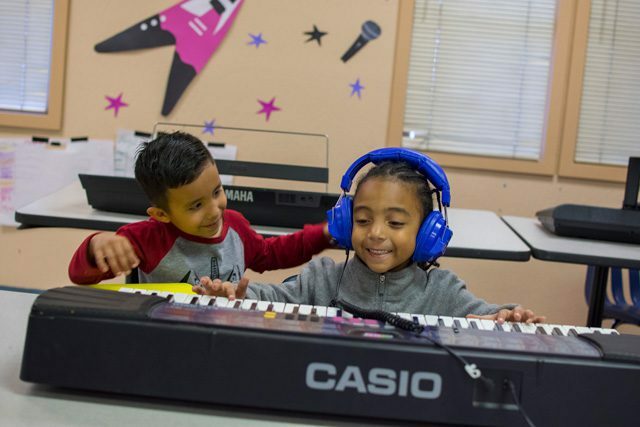 The music lessons provide the children an opportunity that for the most part public schools no longer offer. 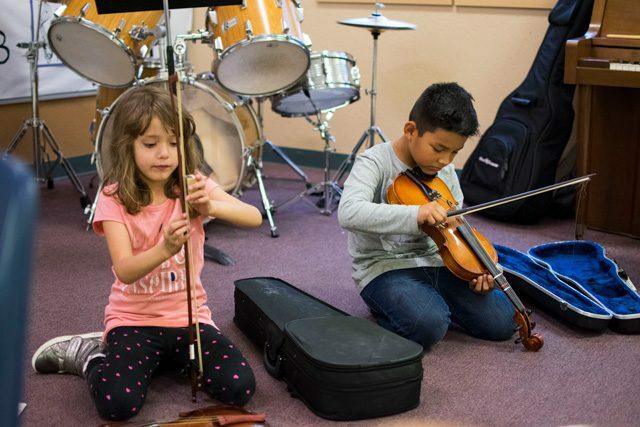 The kids can choose an instrument, including piano, violin and recorder. The instructor works with each child, helping them master the instrument and develop a love of music. The children shared what they like about Kids’ Cafe. Carly likes playing in the “rec room” because she’s good on the hockey table, and Angel likes the student store, where kids get to make purchase with money they’ve earned. Laila summed up the Kids’ Cafe experience. “I like the teachers because they are nice and they help us with our homework and play fun games with us,” she said. The Riverside Corps, led by Corps Officers Majors Keith and Robin Bottjen, has grown because of the Kids’ Cafe, with two families—and a total of nine kids—now attending Sunday services. During the school year, Kids’ Cafe is open Monday–Friday from 2:30–6 p.m. Salvation Army employees pick up the kids at two local elementary schools and bring them to the corps. In the summer, the Riverside Corps provides a day camp for the local community and neighboring cities. The corps also offers scholarships for a week at Sierra del Mar Division’s Pine Summit Camp.